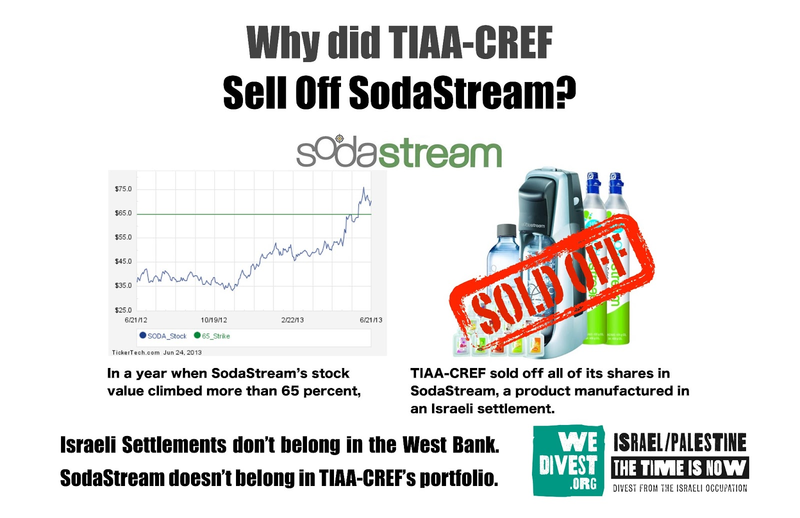 The We Divest Team just shared the exciting news that TIAA-CREF is no longer invested in SodaStream! 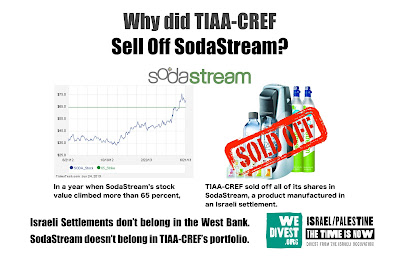 You can read the press release here: http://bit.ly/1avVKjn. 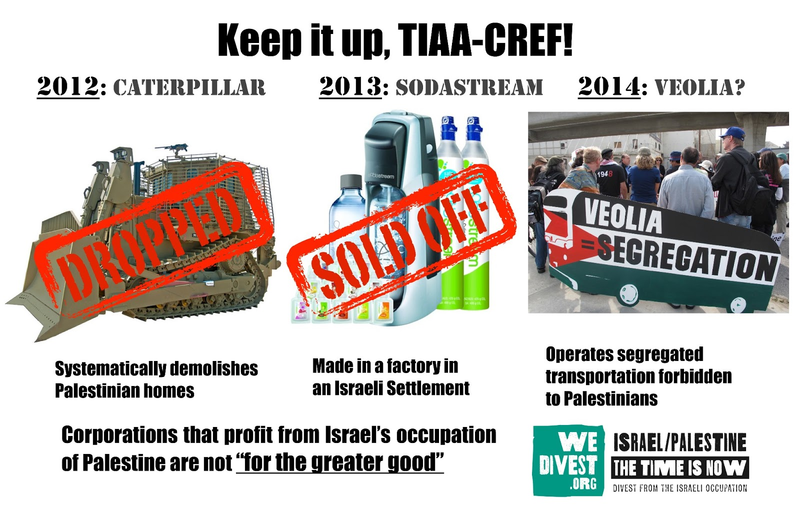 Please start tweeting the press release to help spread the word! 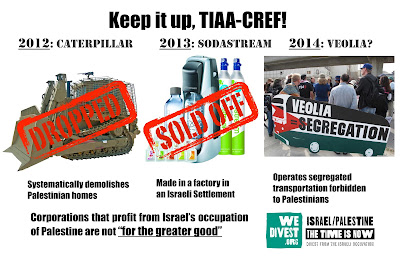 Here are some sample tweets for you to use, and please also keep an eye on @WeDivest for infographics and more tweets! Also share these memes. Download them here.